My fellow students, I am sad to announce the end of an era: On December 17, 2012, the Gossip Girl series finale aired. Whether you care to admit it or not (I’m not here to ruin any hipster reputations, you don’t have to come forward) Gossip Girl has registered on your radar. It’s been on air since September 2007 (my freshman year of high school) so it was, truly, an era. I will reminisce about Gossip Girl the way my parents reminisce about high school. Whether you honored the passing of Gossip Girl by attending a themed viewing party—possibly the one I had in my basement—or just by snorting in indignation at a tweet about the big reveal the next morning (spoiler alert: it was Dan the entire time), you noticed its passing. 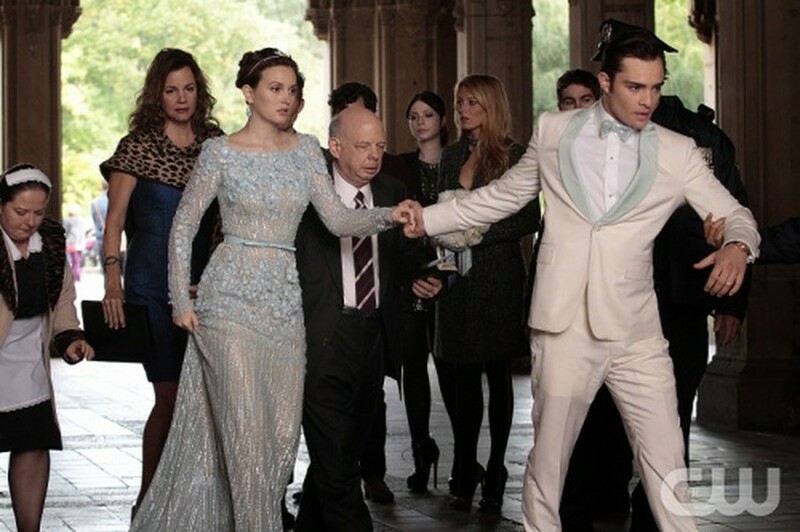 Over one-and-a-half million people watched it, the most viewers Gossip Girl has had since its fourth season. By the series finale the quality of Gossip Girl was declining. Any teen drama in its sixth season will run out of characters for other characters to hook up with, and Gossip Girl was no different. But it was a major TV phenomenon in its prime, and while most of the world treats the interests of teenage girls like they might treat a fly in their soup, Taylor Swift’s album sales alone prove that they are a force to be reckoned with. They’re worth thinking about. The series finale, while star-studded (Kristen Bell made an on-camera appearance, Taylor Momsen made an uninspiring return, and Lisa Loeb married Rufus) and dramatic, came nowhere close to Gossip Girl’s prime, in which it became the show that launched a thousand personalities, but not a whole lot of careers. Blake Lively has already scored two Vogue covers and for some reason is the love of Anna Wintour’s life. Penn Badgley is dating Zoë Kravitz. Perhaps most surprisingly, Chace Crawford continues to get parts despite his hair. Josh Schwartz had previously secured his spot in the TV hall of fame and in my heart with The O.C., but he was hunting bigger game with Gossip Girl. Schwartz didn’t just want to create a TV show: He wanted to create a TV magazine, and he succeeded. For five years, Gossip Girl told teenagers what was fashionable (Anna Sui created a line inspired by Gossip Girl in 2009 and Birchbox released a Gossip Girl–themed makeup goodie bag curated by the show’s makeup department head), what music was cool (both new and old: Lady Gaga and Sonic Youth have performed on the show), and who was worth knowing in the world (NYC Mayor Michael Bloomberg made an appearance, as well as socialite Tinsley Mortimer and author Sloane Crosley). They did it all while offending parents across America and being publicly scoffed at, but secretly watched, by most everyone else. I don’t believe in guilty pleasures. I have never subscribed to the idea that because something is unrefined, I shouldn’t enjoy or learn from it, though I read enough diatribes against Honey Boo Boo to know that I am not in the majority. But Gossip Girl is a different animal from most guilty pleasures. It takes the best parts of reality TV, gossip magazines, and the fashion world, and turns them into neat, 40-odd minute episodes that you can now watch on Netflix Instant. Watching people with not-shiny hair not confront people and not be upper-class would not be an interesting show. Oftentimes MTV makes that show under the guise of being “reality,” and it offends a whole lot of people. Entertainment should be entertaining, and after a long, hard day of reading Tolstoy, what’s wrong with watching Gossip Girl and texting your friend, “Omg Dan and Serena are so Pierre and Hélène right now #intrigue”? Seeing story arcs that worked in 1869 work again in 2012 is kind of cool, and because it’s been uncouth for a while now in America to laugh at the poor, you should kick back by laughing at the spoiled and imaginary. Alas, even though Gossip Girl is over, when one guilty pleasure door closes, another opens. Season 3B of Pretty Little Liars premiered on January 8, and if you don’t know anything about that show, let me give you a summary: basically it is Gossip Girl, but in addition to knowing all the main characters’ secrets, Gossip Girl is also trying to kill them. Intrigue! If you missed it, don’t worry; you can catch up on Hulu.